A big part of winter is the ability to enjoy winter sports and explore snowy, mountainous expanses. However, lurking behind the beautiful facade of freshly fallen snow is the deadly risk of getting caught in an avalanche. Anyone who participates in winter sports or mountain expeditions needs to have avalanche preparedness high on their threat assessment list. Even if you don’t engage in activities where the threat of avalanches is high, you never know when you may need avalanche safety skills – especially if your bug-out plan may take you through snowy, mountainous regions or if you live in the backcountry. Avalanches are some of the most deadly obstacles nature can throw at you and when it comes to preparing for avalanches, prevention is your most important skill. Always ensure you know as much as possible about the area where you will be traveling, including daily conditions, avalanche warnings, avalanche-prone areas, local emergency telephone numbers, and how to identify and avoid high-risk situations. While prevention is your best defense against avalanches, there are techniques you can use to help you survive should you become caught in an avalanche. In this article, we’re going to discuss what those techniques are as well as introduce important avalanche safety gear that you can use to increase your chances of surviving an avalanche. Click the images to view current prices on Amazon. When equipping your crew with survival gear, remember that each and every member needs to be equipped with these items – a shovel will be of no use if it is buried with the victim and the same goes for probes. As for the avalanche beacon, each member of your crew needs to have one harnessed to their chest, not in a pocket or backpack as these items can easily become separated from the person in a violent tumble. Every member of your party needs to be equipped with avalanche safety gear and survival techniques before heading into the backcountry. What it is: An avalanche beacon is a type of transceiver that can be used to locate its wearer in the event of an emergency. How it works: The avalanche beacon sends out a radio signal, transmitting at 457 KHz (a universal and international radio frequency). Avalanche safety beacons are also able to switch to receive signals from other beacons – one of the many reasons why everyone in your party should be wearing one. When a signal is received, the beacon will beep with increasing volume as it gets closer to the source of the signal. This allows you to pinpoint the location of someone buried beneath the snow. Diagram of how the Black Diamond PIEPS DSP Sport Avalanche Beacon detects and displays multiple burials. Click the image to learn more on Amazon. There are two types of beacons: analog and digital. The analog systems use a single antenna and have a broad range, able to receive signals from further distances. A beep is typically used to indicate the location of a signal. The digital systems use multiple antennas and have a much narrower range of signal reception. Digital systems use both beeps and a visual display to accurately narrow in on a signal and some even have light signals to indicate direction and display the distance to the signal. Before setting out on any excursion, your beacon should be fully charged, turned on, and set to transmit at 457 KHz. In times of emergency, it can be very difficult to move, much less access your device, if you are buried under snow – or worse, you may be unconscious. Additionally, when you or someone in your crew becomes buried in an avalanche, the window of time you have to be found or to find someone else is very narrow – 15 minutes at most. Everyone in your crew should practice with their beacons ahead of time so that they are proficient in sending and receiving signals, as well as following signals to find the source. The lights indicate direction and the number tells the distance in meters to the transmitted signal from another avalanche beacon. Click the image to view the BCA Access Tracker2 on Amazon. A harness is an extremely important piece of avalanche safety equipment that will keep your beacon close to your body and protected underneath your clothes. By having your beacon harnessed to your body you reduce the risk of it becoming separated from you. While some avalanche beacons will come with a harness, others require you to purchase it separately. Before purchasing your beacon, check to see if a harness is included and if not, make sure you purchase one. What it is: A probe is a lightweight, collapsible stick typically six to seven feet long once assembled. The ripcord action of the Black Diamond Quickdraw Probe makes for fast deployment when it counts. Click the image to view this probe on Amazon. How it works: A probe is used for probing into the snow in order to locate someone buried beneath the surface. Your probe will provide you with a good idea of where to start digging should one of your crew members be buried by an avalanche. Look for quick-deployment designs that snap into place, ready for use immediately. Probes are also used to assess the current snow pack to determine avalanche risk. Backcountry shovels are designed to be compact, lightweight, and ultra sturdy for quick set up and vigorous digging. 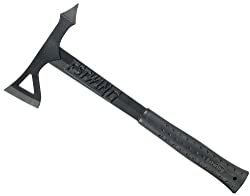 Click the image to view the AAA Sport Utility Shovel on Amazon. While fairly self-explanatory, a shovel is an essential tool to have on-hand for avalanche safety, especially for rescuing those caught in an avalanche. In order to perform an effective rescue, you will need to dig quickly, a task that is much more easily performed with a shovel. Look for a collapsible, high-volume shovel and remember – carrying a shovel with you will be more than worth it when you need it as your window of opportunity is so slim. Head injury is a serious concern especially when it comes to outdoor sports. Surviving an avalanche is no different than surviving an extreme skiing accident. Wearing a helmet will help provide protection from head trauma in the event of impact – whether during a fall or in an avalanche. In fact, it is quite common for avalanche victims to die prior to burial due to sustained injuries, so any added level of protection is prudent. For more information, please review this resource from BackCountry.com. Avalanche airbags have been gaining popularity among outdoor enthusiasts but have also met with some skepticism. What it is: An avalanche airbag is a backpack-style flotation device that can be deployed should you become caught in an avalanche. How it works: The principle behind the airbag is that it makes your body larger without increasing your mass, thereby decreasing your density and heightening your chances of staying closer to the surface. While an avalanche airbag by no means guarantees survival, it can help your efforts by protecting your head, neck, and shoulders from impact. When traveling with an avalanche safety airbag system, be sure to check with the airline regulations. The cylinder will need to be emptied and you may need paperwork with it. 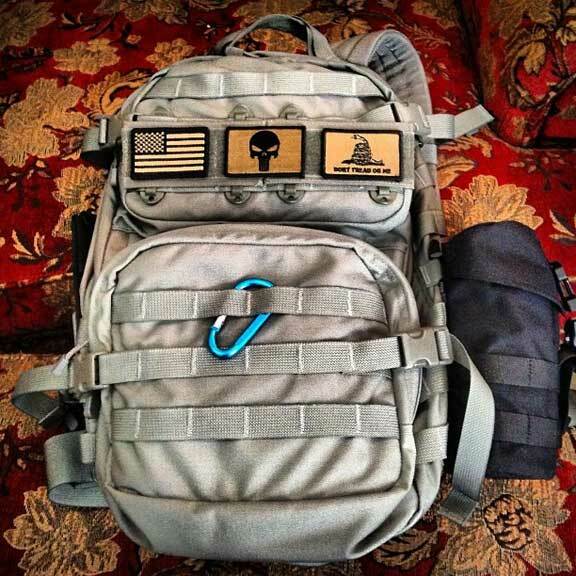 For more information on traveling with survival gear, CLICK HERE. Signs are one way of warning visitors about avalanches. Image via Rexness on flickr. The layering of different types of snow can make an area more susceptible to avalanches. Powdery snow is an especially unstable base layer for heavier snow as the wet snow compacts into a slab that can easily slip off the sugary base on an incline. Avalanches typically form on slopes between 30-45 degrees, however, avalanches can form on slopes of anywhere between 25-60 degrees. In terms of ground slope shape, a convex shape will have a higher tendency to avalanche than a concave shape. The pattern of snow collection results from sun and wind exposure. Slopes that lack trees and thick brush will have no anchor points and are therefore more susceptible to avalanches. Additionally, the direction that the slope faces and the time of year also play a role in how likely an avalanche is to occur. In mid-winter, a north facing slope is the most dangerous while those that are south-facing become dangerous in the spring. A slope that faces into the wind will not only accumulate less snow, but also experience compaction from the wind. Conversely, a slope sheltered from the wind will collect a large volume of drifts and be less compacted, creating prime conditions for an avalanche to form. As such, avoid trekking out on days with steady winds of 15 mph or more due to the dangerous drifts created. Pay close attention to local warning signs and avoid restricted areas. Image via Cory Doctorow on flickr. A key warning sign to look for in anticipation of an avalanche is a deep layer of newly fallen snow as it has not had a chance to compact. When assessing an area, look carefully at the trees and rocks as this is where compaction comes from. Inserting a probe into the layers of snow can help assess what is happening with the layering underneath. Another avalanche safety indicator is the shape of the snowfall. A layer of small needle or pellet-shaped crystals can mean danger as this type of snow can suddenly give way, much like a house of cards. Conversely, large snowflakes compact more easily and are ‘sticky,’ although a heavy rate of snowfall (> one inch per hour) of any kind makes for bad conditions. A dry slab is another warning sign, this occurs when old snow layers break off as a unit and slide down the mountain in one big slab. The sheer mass of the slab causes it to pick up speed as well as additional snow, resulting in the entire side of the mountain coming down with it. Dry slabs cause the most deadly types of avalanches due to their large scale, size, volume, and the speed with which they occur. Temperature is another avalanche gauge to be aware of. The lower the temperature, the less stable the snow will be. Temperature / sun exposure that allows for some melting and settling is safer than a shadowy area that remains below freezing. However, if the temperature is too high, such as in the spring, wet snow slides can form. While avoiding an avalanche entirely is the best way to ensure survival, if you are out backcountry skiing, boarding, or climbing and an avalanche comes pouring down after you there are steps you can take during the initial commotion that will help increase your chances of getting out alive. As soon as you notice signs of an avalanche, begin to move away from the center as quickly as possible. The center flows at peak velocity and volume, which makes it much more difficult to fight against. Your first goal should be to get yourself toward the closest side as quickly as possible. If you’re really lucky, you may be able to get completely out of the way and avoid being swept up in the avalanche. Often times, the cause of an avalanche is activity and it will form right under your feet. If you react quickly and jump uphill, you may be able to get yourself to safety and avoid being swept away. If you’re unable to get out of the way fast enough, the next step is to prevent yourself from being buried. It may sound simple enough but when confronted with a massive force of snow and ice, it becomes extremely challenging. As your body is more dense than the snow, you will naturally sink. Rescuers recommend using a swimming or thrashing motion uphill in the opposite direction of the flow to help keep you up near the surface. The closer you can stay to the surface, the less digging you will need to do once the snow settles, giving you a huge advantage in terms of avalanche survival. If you can find a tree or a rock, this can provide an anchor point for you to hold onto and maintain your position in a less powerful avalanche. Delaying your descent for even a few seconds can improve your chances of not being buried as deeply, or even at all. Airbags, like this one by Backcountry Access, help increase your chances of staying “afloat” in an avalanche. Click the image to view details on Amazon. Another prudent move is to hold your hand over your head as this will give you a better chance of being seen by rescuers as well as provide a sense of which direction to start digging after the snow settles. In terms of lightening your load, there are mixed schools of thought. 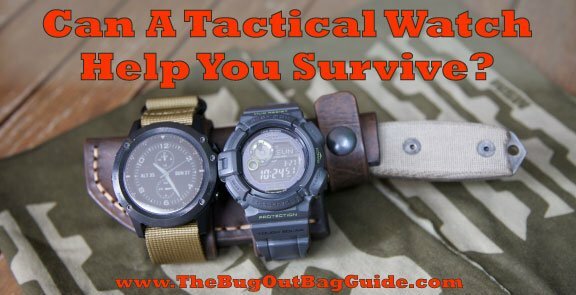 On the one hand, the lighter you can make your body, the easier it will be to stay afloat or pull yourself out of the snow; however, on the other hand, you never want to willingly separate yourself from your survival equipment. Keep in mind that if you are encased in an avalanche, your immediate situation is that you are trapped in a cold environment and may have to wait a long time before anyone locates you. Getting rid of anything that will help keep you warm, nourished, provide first aid, and most importantly, help others locate you, would be a counterproductive move to your survival. A key tip if you become trapped in an avalanche is that as the snow begins to slow down, fill your lungs with air and hold it in to give your chest room to expand after the snow settles. Snow is very heavy and its weight causes it to compact quickly. Without performing this maneuver, you may not be able to expand your chest to take in air after it settles. Once you have stopped moving, time is of the essence. Your first priority should be to get to the surface as quickly as possible to avoid running out of air or becoming trapped. In the first 15 minutes you have the highest rate of survival (about 93%), but your chances decrease significantly after that. If after the avalanche has settled, any part of your body is above the surface – and you’re sure of it – begin to dig in that direction. However, being tossed around and buried can be very disorienting and finding yourself in a situation where you’re not sure which way is up is not uncommon. If you are unsure of which direction you should dig, gravity can be a good tester. Visible rising breath is a good indicator but there is a more reliable test – the spit test. Clear a space near your face and spit – the liquid will go straight down compliments of gravity, telling you to dig in the direct opposite direction to reach the surface. Unlike drowning, when you are trapped in an avalanche, there is air trapped in the snow with you. To create a larger pocket for breathing, continually push the snow away from your face. Additionally, your body movement will compact the snow around you creating more air space. With this much snow, a probe and a shovel are essential avalanche safety equipment. Image credit Clayoquot. If you are close enough to the surface, continue to to dig upwards, poking anything you can above the surface, such as a ski or brightly colored clothing, as this will make it easier for your rescue party to spot you. If you’re not close to the surface, it might be best to conserve your energy and focus on breathing. Definitely make an attempt to call out for help but do keep in mind that when you are trapped beneath the surface, you may be able to hear others calling for you but they are unlikely to be able to hear you. If you can hear your rescue party but it’s obvious they can’t hear you, remain calm and give them a few minutes before calling out again. Otherwise, you may waste your air supply and voice by continually shouting to people who can’t hear you. A rather unconventional but potentially life-saving tactic when buried in an avalanche is to urinate. For one thing, the pressure of being buried may be very uncomfortable on your bladder, but more importantly, the odor acts as a beacon for rescue dogs sniffing around the surface. Avalanche rescue dogs are trained to sniff out buried victims. The stronger your scent, the more likely they will be to find you. Image via Paul Morris on flickr. The mere thought of being caught in an avalanche is terrifying and should you have the misfortune to ever be buried by one, no doubt your natural instinct will be to panic. Fight this urge. By remaining calm, you will slow your breathing and preserve the available air beneath the snow, which will afford you more time to get out. This is where preparedness presents a major advantage. If you know what to do it will be easier to remain calm and you can focus on the survival tasks at hand. If you want to experience the terrors of surviving an avalanche without leaving the safety and comfort of your home, check out this video from the helmet cam of a backcountry skier who was buried in an avalanche. Luckily, he finds his way with a lot of help from his friends. Notice how they had to dig for him using their skis and hands – a shovel would have been very helpful! When it comes to avalanche preparedness, awareness and knowledge are your best tools. Always be aware of the daily and regional conditions in your area, make sure you and your crew are packed with the proper equipment, and attend training courses to learn more about avalanche survival. Remember, when it comes to avalanche safety, avoidance offers your best chance for survival, always err on the side of caution when out enjoying the backcountry. How do avalanches rank in your threat assessment? Are they something you are expecting and prepared for, or a rare occurrence you don’t expect to encounter? Have you ever been in an avalanche or used avalanche safety gear? What was your experience like? Tell us your thoughts and leave your questions in the Comments section below, thanks! It’s hard to believe, but 2015 is almost over. Along with the end of another year comes the holiday season – a beautiful time of year where love and togetherness are celebrated, pretty lights cover the streets, and families get together for long overdue reunions. However, the holidays can also be stressful, especially when trying to find the perfect gift for that picky prepper on your list. 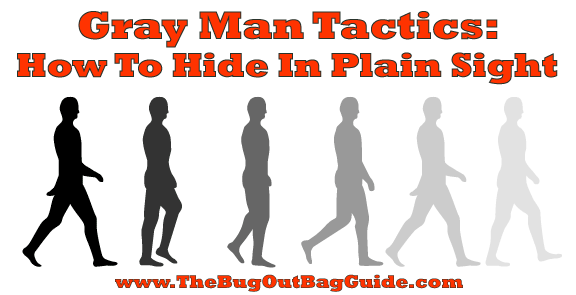 Not to worry, The Bug Out Bag Guide has you covered! 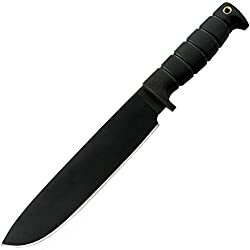 We’ve compiled our annual list of the top survival gear any prepper would be thrilled to receive. We’ve spent the year reviewing all things survival and have evaluated each item to narrow down our list to the top gifts that are perfect for any prepper on your list. If you happen to be the picky prepper, consider sending this link out to friends and family as a helpful hint! 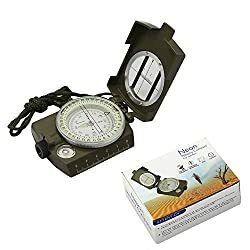 The answer to the question, “What does the prepper in my life need?” really depends on the answer to the question, “What problem is he/she trying to solve?” When it comes to survival, there are a multitude of scenarios and tasks to consider, and having the right tool for each specific task is crucial. In our Ultimate Prepper Gift Guide, we’ve evaluated all the essential prepper tools and determined which ones best fit the needs of preppers while minimizing weight and size, and maximizing functionality. Always remember, when shopping for prepping gear, it is not always the most expensive item that will best suit your purposes, but there is no substitute for quality. Ensure you invest in high quality gear that is built to last – you’re investing in more than items, you’re investing in your ability to survive. Click the images to view current price on Amazon. Takes a licking and keeps on clicking… Gerber Impromptu Tactical Pen. Have a prepper to shop for but don’t know the first thing about prepping? Consider buying a fully-equipped kit. Your prepper will love it and you can rest assured that your gift has just the items he/she is looking for. Alternatively, if you’ve already embraced the benefits of prepping but have someone in your family who needs a little encouragement, start off their prepping journey with one of these fully-equipped kits. When it comes to gifts, it’s the thought that counts, and what could be more thoughtful than arming your loved ones for survival? Click to view TUUSK in our store. TUUSK (The Ultimate Urban Survival Kit) was custom designed in collaboration with Ready To Go Survival. Weighing only 16 pounds, it is packed with carefully selected, high quality gear to enable you to survive an urban disaster. Included in the kit are means of protection, self-defense, communication, first aid, fire starting, shelter, water purification, and more. This kit has many of the features of a basic kit, such as a first aid kit, hand powered flashlight, and an emergency shelter as well as some of the more advanced, “kitchen sink” options such as a multitool, water filtration bottle, and a stove and fuel. It also has 44 portions of food which will keep a survival party going for a long time. Click the image to view on Amazon. What, you don’t hang your bug-out bags on the mantle?! You’re never too old to hang a stocking for Santa! We’ve got a ton of great stocking stuffer ideas including some that are completely FREE (simply pay shipping)! For all those little gifts that will surprise and delight the prepper in your life, or to share the joy of prepping with those you love, stock up on our top stocking stuffers! Never be without clean drinking water! Removes over 99.9% of bacteria and parasites without the use of harmful chemicals. Filters up to 1000 liters. Carabiners have endless survival applications. 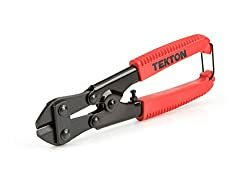 They are great for clipping gear to a belt or pack for easy access, hanging a hammock, securing food out of reach of wildlife, as well as climbing and rappelling. Every prepper needs a dependable flashlight for their EDC and BOB. This one is waterproof IPx-8, with multiple beam size and intensity settings. Charger, case, clip, and bonus LightJunction keychain included. 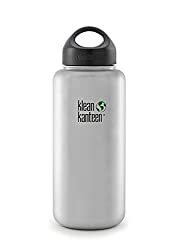 Aside from the obvious benefit of a BPA-free way to transport water, single-walled stainless steel bottles can also be used to boil water or heat food in a survival situation. A classic survival tool, featuring two blade sizes for handling a variety of tasks. Screwdrivers, bottle opener, tweezers, and more. Includes a keychain sharpener to keep the blades in top condition. The Everstryke Pro Waterproof Lighter from SurvivalLife is available FREE by clicking HERE. Survival Life FireKable Paracord Bracelet is available FREE by clicking HERE. Books and media make the perfect gift for both experienced preppers and those just starting out. Check out our list of the top prepping resources including our own Ultimate EDC Kit ebook, Run Prepper Run, and Aquaponics. Each of these fantastic resources provides a unique set of prepping knowledge to help readers prepare for survival as well as an entertaining read. The Every Day Carry Guide ebook makes a great gift for preppers who want to build or enhance their EDC kit. It is packed with information on daily preparedness, assessing threats, and choosing the right gear for their needs. Start off the new year with a prepper workout! Run, Prepper, Run! is a gradual fitness program specially designed to build strength and endurance for survival. Learn how to grow your own endless food supply! Easy DIY Aquaponics will teach you how to get started with aquaponics, how to maintain your system, and how to make crucial improvements and adjustments to accommodate your family’s changing needs. 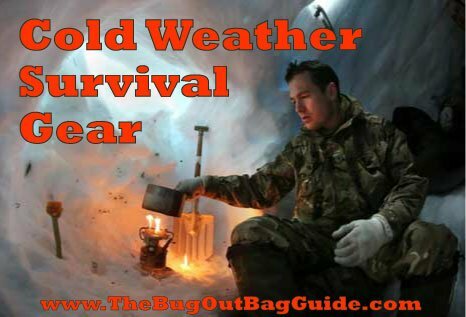 Here at The Bug Out Bag Guide, we wish you and your family a very happy holiday season and hope that you stay warm, safe, and most importantly, prepared! Do you have a perfect holiday prepper gift you didn’t see on our list? Tell us about it in the Comments section and we’ll be sure to check it out for our 2016 list! The three absolute necessities for survival are shelter, water, and fire. I’m going to save the solutions for shelter and water for another time and focus on fire and how there’s an indispensable tool that can get a fire started at any time. This simple self-contained fire starting device is made out of solid stainless steel, and has no problem igniting in the rain or snow, and and is even 100% waterproof. It’s also so small and unobtrusive that you can attach it to your keychain or backpack and never have to worry about getting a fire started again. We’re talking about the very popular Everstryke Pro Emergency Waterproof Lighter. (You can Click HERE to get your FREE Everstryke Pro). At its essence, the survival life Everstryke lighter is a capsule lighter, which is basically a miniaturized kerosene candle with its own starting mechanism. In order for the Everstryke Pro to be effective, a source of fuel must be supplied, but I’ll elaborate more on that in a second. I’ll begin my Everstryke Pro review with a general description of the product. Closed up, it’s slightly larger than a .44 magnum cartridge and includes a clip for attaching to your gear (such as the zippers and clips featured on the Advanced Tactical Hip Bag). In total, it weighs about as much as the aforementioned round of ammunition. Shown next to a .22 LR, you can see how compact the Survival Life Everstryke is. The capsule length is about 2 inches, including the housing for the clip. The cap of the Everstryke Pro, made by Survival Life, screws off, revealing a wick and striker wheel, which throws sparks quite profusely and makes this a great tool for igniting tinder, even in a long-term survival scenario with no fuel. Unscrew the cap of the Everstryke Pro lighter to access the striker wheel and wick. The main lighter housing features an O-ring at the base of the point where the cap screws down, keeping the wick from getting waterlogged should it ever get submerged, making this lighter 100% waterproof. In fact, you can click here to see a video of the Everstryke Pro being submerged into a FISHBOWL for an hour and then being taken out and lighting up with no problem at all. The high-quality outer construction and O-ring also help keep the fuel from evaporating. The black O-ring seals out water and prevents fuel from evaporating. The striker and wick are mounted on a hollow cylinder that fits inside the lighter housing, which, when you remove it and flip it upside down, reveals foam that you saturate with fuel to feed the wick, as well as a screwdriver-adjustable flint. We recommend getting a high-quality lighter fluid such as Ronsonol. The hollow cylinder slides out for refilling with fuel and adjusting the flint. The foam is shaped to seat around the flint, which can be adjusted using a flathead screwdriver. The foam (on right) pops out, revealing the wick. To fill the lighter, remove the internal cylinder, take lighter fluid (the sort you use for charcoal barbeques) and carefully fill the housing halfway – it doesn’t take much. Then, slowly re-insert the internal cylinder. The foam should sop up the fuel, and in short order, the wick should get wet with fuel; the lighter is now ready to use. Adding fuel to the housing. To avoid getting lighter fluid all over the place in the event of an overflow, fill your Everstryke Pro lighter over a sink or outdoors. Always ensure you wash your hands and give the lighter a wipe-down before attempting to light it to avoid any accidents. I tested out this product under two real-life conditions: The first, lighting a wood stove at a shop I’m painting; and the second, burning trash in an incinerator. After testing it out for a few weeks, I found it to be a fairly capable fire starter creating a flame that is wider than your typical match, giving you a more effective flame for igniting tinder or kindling. Provides a wider, steadier flame than a match and won’t burn down to your fingers. For those accustomed to butane lighters, this unit can seem reticent to light, at most taking up to about a dozen strikes to light the wick. However, this is about on-par with flint and steel fire starting kits without the hassle of collecting fine tinder to light it. One potential disadvantage, especially for those who live as far north as I do, is the potential for the lighter fluid to ignite at colder temperatures. 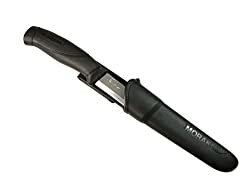 This can be problematic for the Everstryke Pro in freezing temperatures, although this would affect any lighter of this type, including a Zippo. A quick fix if you’re in a situation where you need to use a lighter, such as this one, in freezing temperatures is to warm it up on your hands for 30 seconds or so and to try igniting it again. The Survival Life Everstryke fits easily on a keyring and unclips for quick access when needed. It’s modestly weatherproof, maintaining a hot flame in light snow and a moderate breeze. Of important note is that, much like a Zippo, the Everstryke Pro lighter may not light the very first time you strike it. This is a function of a reliable lighter that uses lighter fluid instead of a butane-based, BIC-type lighter. Slower ignition time is just one of the trade-offs made when choosing a refillable lighter over a disposable one. Had to give it dunk to see for myself. After being submerged for 10 minutes, no water had leaked into the cap and it was ready to light. As you can see from our Everstryke Pro review, its compact size, simple design, and affordability make it a useful addition to any camping or survival kit. The Everstryke Pro combines both a fuel-based system and flint and steel striker, so you can spark a fire under any conditions. Click Here To Get Your Everstryke Pro Lighter Today! How many sources of fire do you currently have in your survival bag? If you don’t have a small source of fire with you at all times, consider getting yourself the Everstryke Pro to never be left out in the cold. For a limited time get your Everstryke Pro for free, you just pay $4.95 shipping!